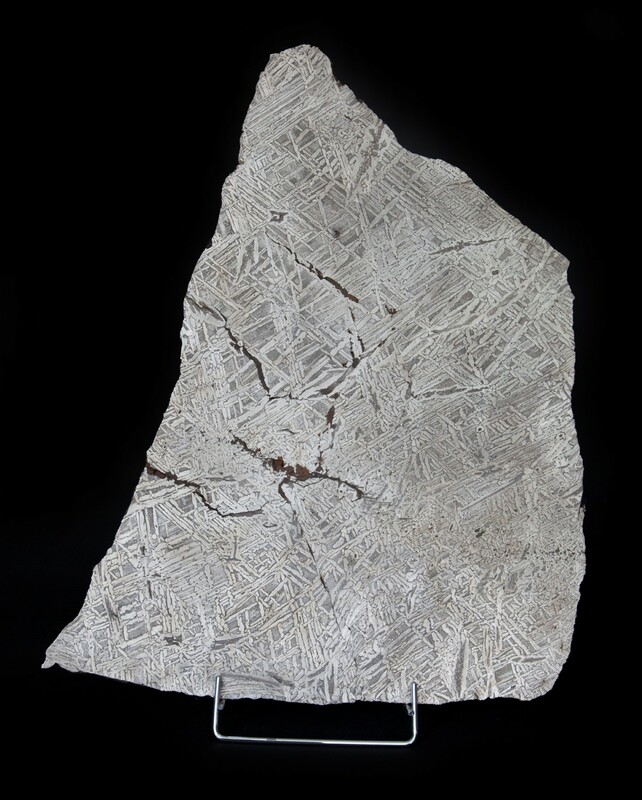 This slab is an etched end slice of the Seymchan meteorite, an incredibly rare discovery. The Seymchan meteorite was originally found in 1967 near the to the town of its namesake Seymchan in far East Russia. 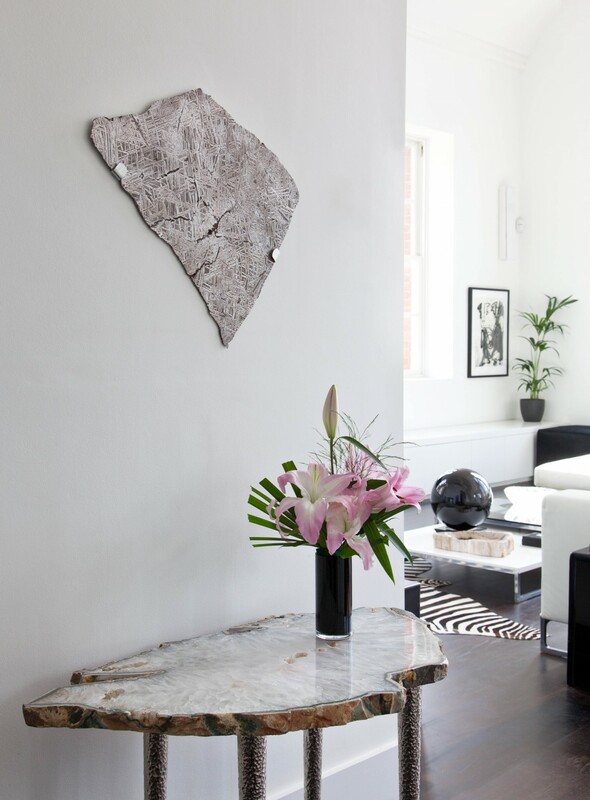 Iron meteories, such as this slab, are believed to originate in the cores of asteroids. The crystals in this slab are exceptionally long, telling us that the alloy in the meteorite cooled very slowly (over several million years). The asteroid must have been broken apart by a large impact, causing the Seymchan meteorite to hit the Earth and burn through the atmosphere. The slab shows etched lines in three predominant orientations. 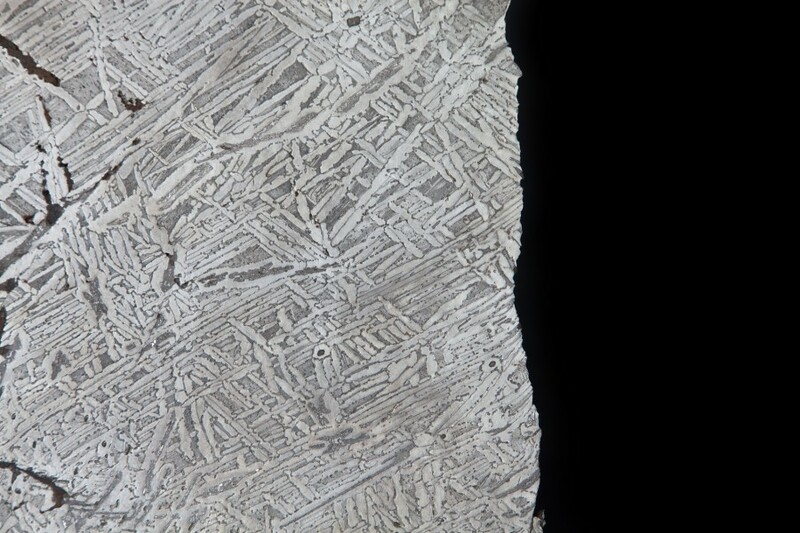 This is a naturally occurring pattern known as a Widmanstätten pattern (almost exclusively found in meteorites). These lines are long crystals of two specific arrangements (phases) of the iron-nickel alloy. In materials, crystals of one new phase (such as ice from water) prefer to grow along certain directions as it requires less energy to do so. This, for example, is why snowflakes almost always grow in a six-radial shape. 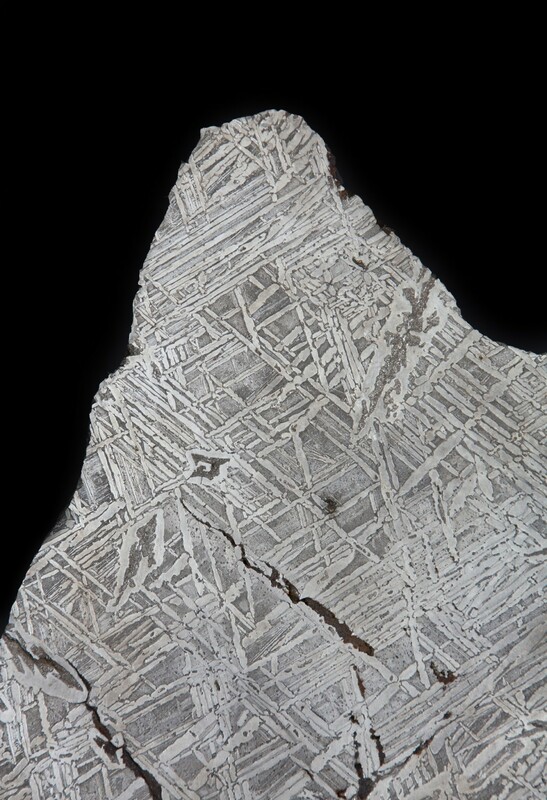 This meteorite has been classified as a ‘coarse octahedrite’, meaning that the crystals grow along the faces of a regular octahedron (two square based pyramids, like those in Egypt, stuck end-to-end). This slab has been cut along one of these faces, so that only lines of these other intersecting faces are seen.